A brief description of the types of lenses and variety of frames available at dsm eye-skywalk in Des Moines. Highlight your features, play with color, and augment vision for different functions such as reading, driving and playing sports. With all the choices available, the experience can be daunting without the right guidance. 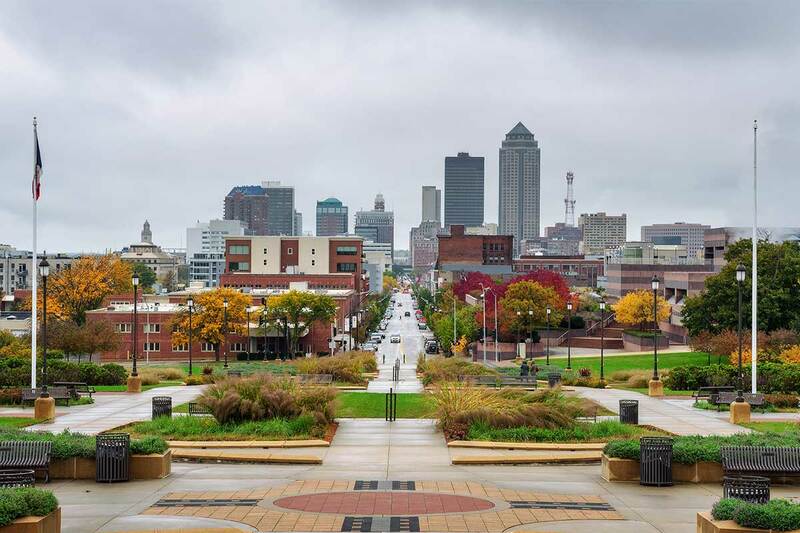 dsm eye-skywalk in Des Moines makes the choice easy. The knowledgeable staff at dsm eye-skywalk will consider long-term wearing comfort, style, features and function when suggesting a new pair of eyeglasses. The eyeglasses become as unique as the person taking them home. Selecting the right eyeglass lens depends largely on its function. From single vision lenses to progressive polycarbonate lenses, we are happy to help you find what best suits your needs. Regardless of your situation, dsm eye-skywalk can help determine what types of lenses will work best for you in terms of comfort, function and design. When choosing a frame, the shape and size of the frame should enhance the color of your eyes, complement your skin tone and play up the best features of your face shape. We offer an incredible selection of all shapes, sizes, and colors! Having different style frames for different activities and moods makes wearing glasses more fun! Our brands include: Kate Spade, Calvin Klein, Nike, Flexon, Polaroid, Maui Jim, Pro Design, Seraphin, OGI, Modo, Eco, Oga, Lightec, Koali, Oxibis, Dilem, and more. We will make you look good! Single vision and No-Line Progressive Multifocals. We offer Varilux X-Series progressive lenses which are easier to adapt to and provide clearer, wider vision in the bifocal portion of the lens. Most people do a significant amount of computer work that causes lots of neck pain, and eyestrain. Specific glasses that are tailor-made for the workstation can do wonders in alleviating computer vision problems. With the wide variety of lens options available, you can customize your sunglasses to meet your visual, protection, performance and comfort needs. Sunglasses protect your eyes from harmful ultraviolet (UV) radiation, which is present even on cloudy days. Quality sunwear provides 100 percent UV protection and can significantly reduce the risk of vision problems caused by sunlight such as macular degeneration, cataracts and skin cancer. It also significantly improves your quality of vision. Glare, an issue that makes it difficult to see objects clearly by washing out colors and details, can be combated by the use of polarized lenses. Looking at a scene with polarized lenses, you’ll notice the colors are deeper, richer and bolder, and details are clearer and more distinct. Polarized lenses also help reduce squinting, which-in turn-reduces eye fatigue, tension and WRINKLES!!! Blue light emitted from the sun, computers, phones, and other electronic devices has been found to be damaging to the retina long term. We offer Blue light protecting technology in our anti-reflect lenses. This is the same blue light wavelength that affects your sleep rhythm which has been found to make sleep more difficult. Lenses and frames are a very necessary and personal choice. dsm eye-skywalk in Des Moines, Iowa has the experience to guide you toward eyewear selections that are comfortable and that work to complement your face. For help, schedule an appointment with dsm eye-skywalk and we’ll be in touch with you shortly.